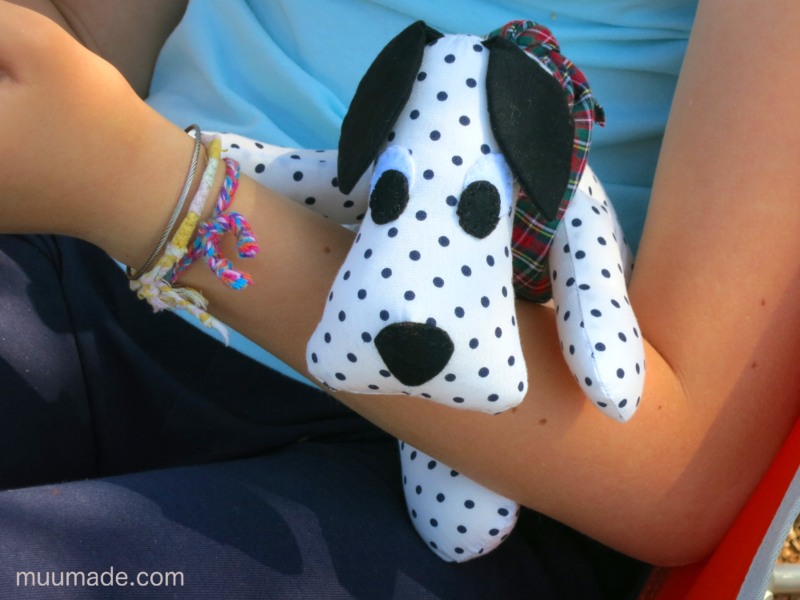 Dogs, doggies, puppies… They come in a variety of colors and shapes, but don’t we love them all?! Dogs are undoubtedly “a (wo)man’s best friend!”. You also can choose between three types of snout for your doggy. The cute little tongue that the Beagle and the Starry German Shepherd have sticking out of their mouths is optional; the Dalmatian, for example, decided not to show us his tongue! 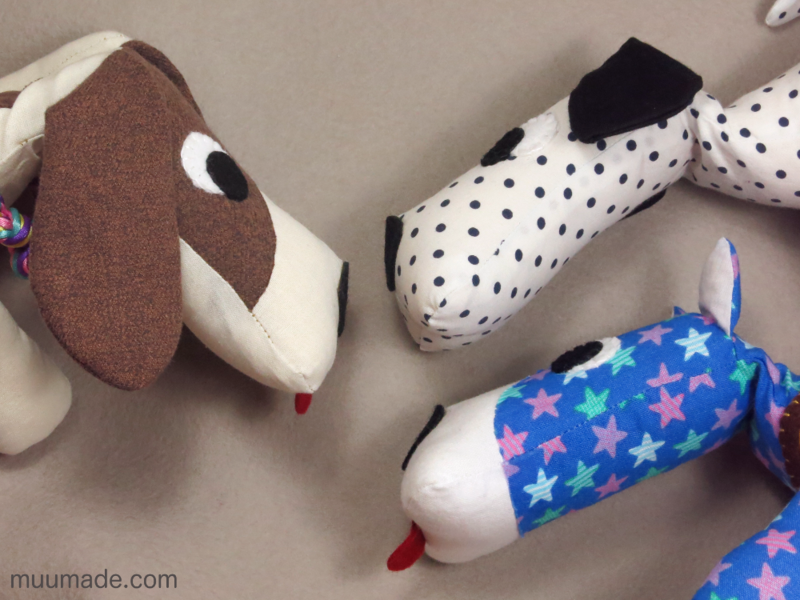 When making coat patterns for your Huggable Doggy, be creative! Cut out whatever shapes you want from fabric in the colors and patterns of your liking, and glue them onto your doggy! Look at that shining star! 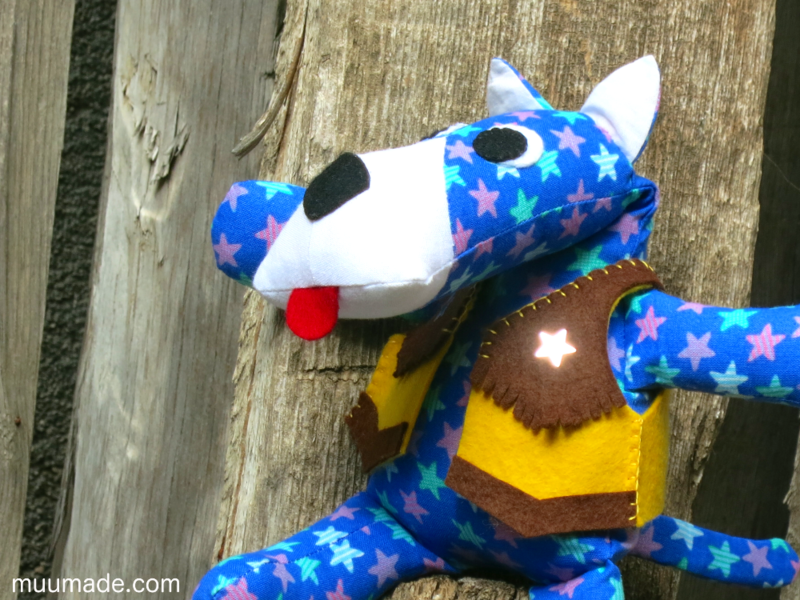 I designed a cowboy vest for the Huggable Doggy, and included its patterns and sewing instructions along with those of the doggy. 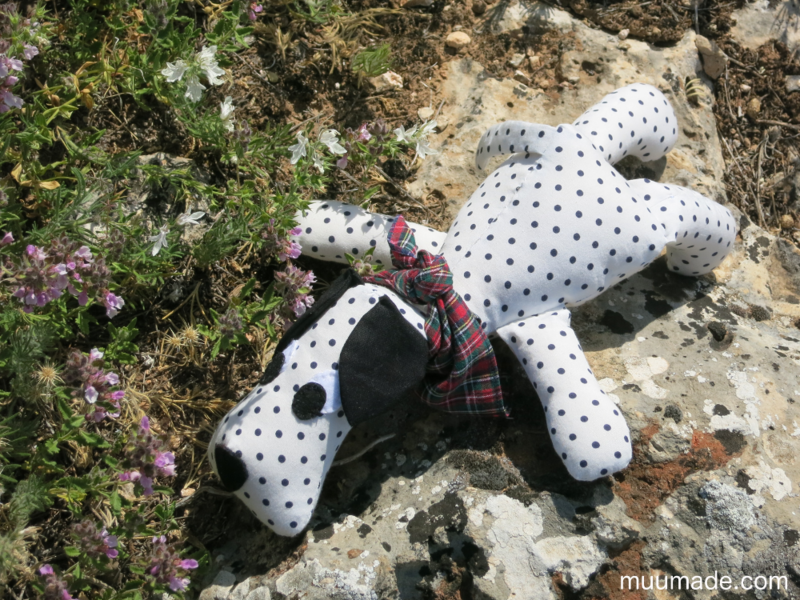 When the Huggable Doggy lies down, it spreads out its arms and legs and rests completely flat on its belly. And in no time, you will hear “ZZZ…. ZZZ…” In fact, it is so good at napping that it makes a perfect bedtime companion for children! This download item is available from my online shop, muumade.etsy.com. You can also click on any of the photos above to go to the item page and instantly download the instructions upon purchase. 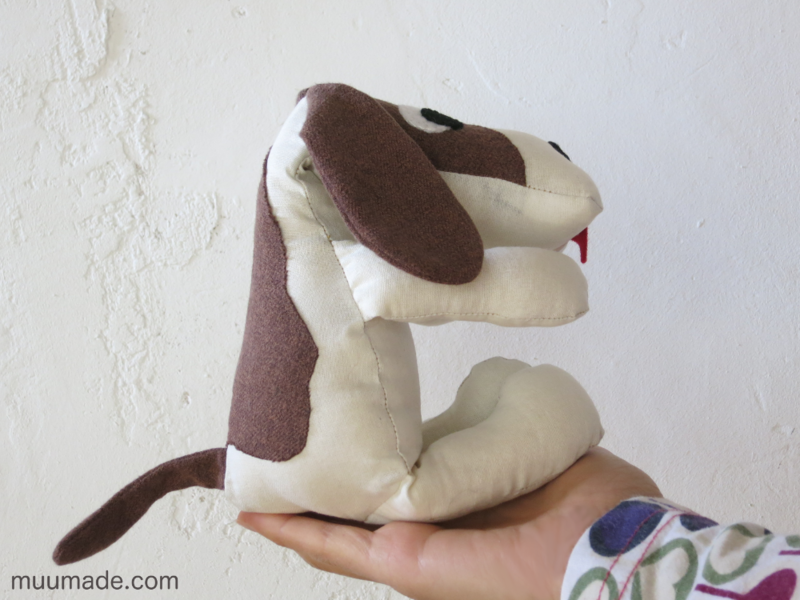 When you are ready to make a Huggable Doggy, my post “How much can an eye express?” may help you decide what sort of personality you would like it to have!